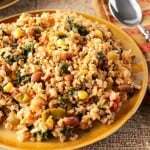 Mexican Beans & Rice is a hearty and healthy side dish that comes together in about 15 minutes thanks to basic pantry staples and frozen vegetables. With Cinco de Mayo being just around the corner, you can add this fast and easy Mexican Beans & Rice dish to your May 5th menu without ever missing a beat. 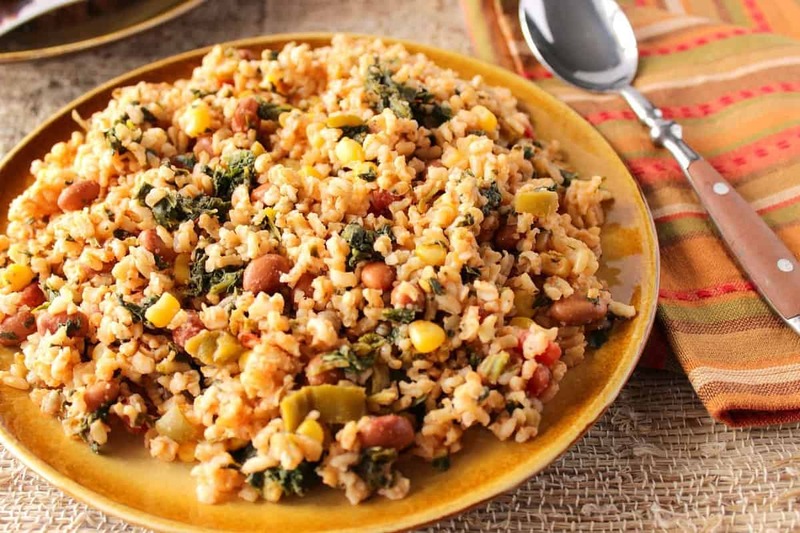 Using instant brown rice, frozen spinach, frozen corn, canned pinto beans, beef broth, and prepared salsa, this is a dish that even the most novice cooks can set on the table with pride. I don’t know about you, but I’m having a hard time believing that Cinco de Mayo is only a few weeks away. This year has been flying by, and here in the Midwest where I live I think spring is finally going to unpack her bags and stay for awhile (or at least I hope so). Having said that, I’m anxious to fire up our backyard grill, and in particular grill up some beef and chicken to wrap inside a few tortillas and serve them along with this dish of Mexican Beans & Rice. 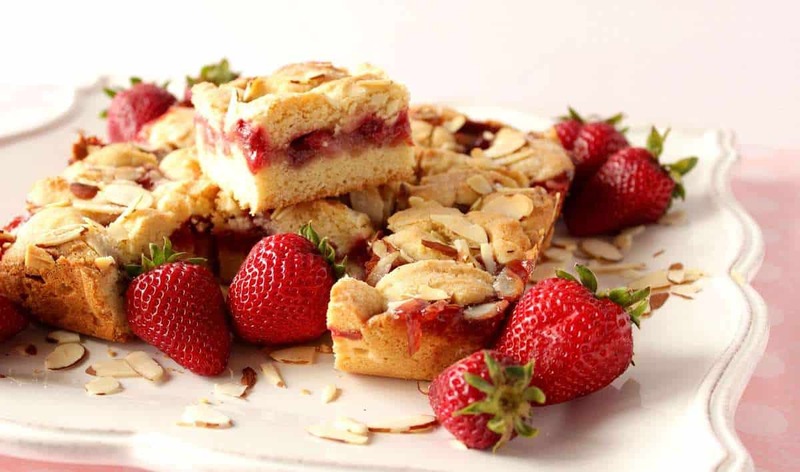 Or, if you’d like to make this as more of a dinner entree, why not add cooked beef or chicken (i.e. 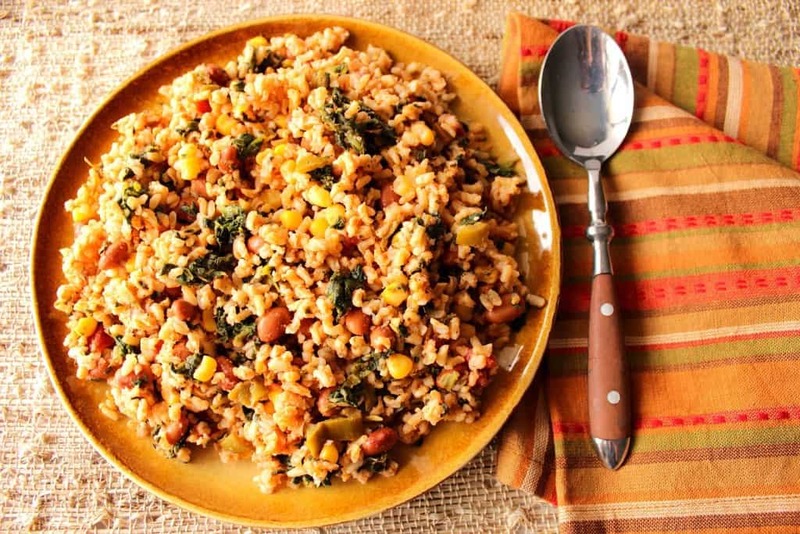 leftovers) right into the beans and rice for an amazing one-pot wonder? Now we’re really talking fast and easy! Bring beef stock (seasoned with salt and pepper) and butter to a boil in a medium saucepan. Stir in the instant brown rice. Cover and remove from heat until the liquid is absorbed. Stir in 1 can pinto beans, fire roasted jalapenos, prepared salsa, frozen corn, ground cumin, and frozen spinach. Return to low heat and stir until the spinach and corn are warmed through. Serve. 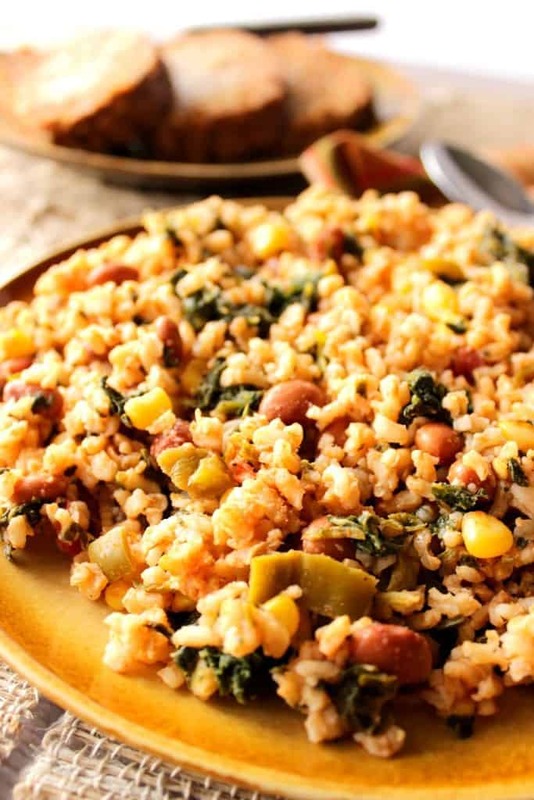 Fast and delicious side dish with brown rice, beans, corn, prepared salsa and spinach. Bring the beef stock and butter to a boil in a medium saucepan. Stir in the salt, pepper and rice. Turn off the heat, cover the pan, and allow the rice to absorb the liquid. Once the liquid is absorbed (approximately 7-10 minutes), return the pan to medium/low heat and stir in the beans, corn, salsa, cumin, jalapenos and the frozen spinach. Adding cooked beef or chicken is a great way to use up leftovers and turn this from a side dish to a 15 minute main course. 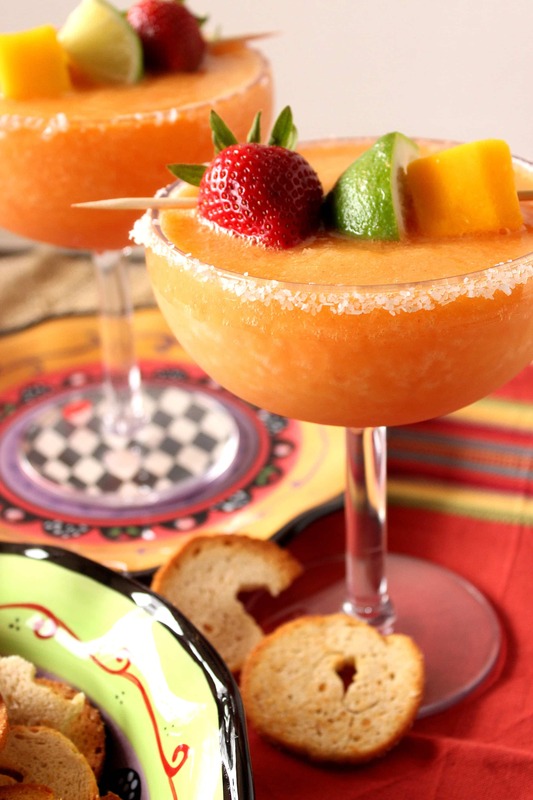 If you’re looking for something cool and delicious to wash down your Mexican Beans and Rice, what about this? 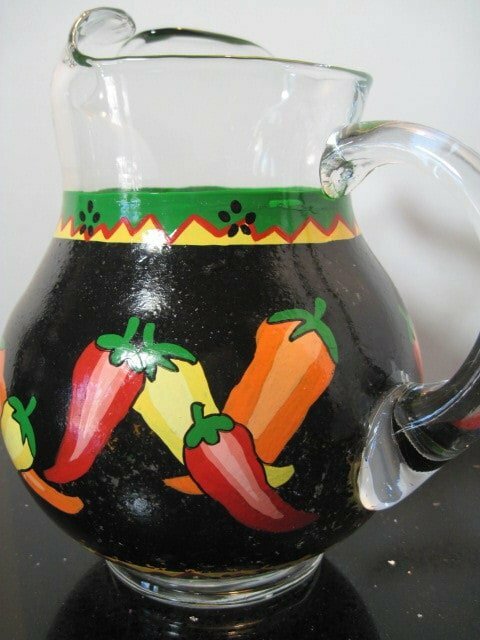 I’ve decided to coordinate this post with a pitcher I painted years and years ago. Currently I don’t offer pitchers in any of my shops but if anyone sees this and is be interested in ordering one, please contact me and I’ll be happy to paint a pitcher specifically for you. If there is ever anything I can paint for you, from glassware items to fabrics, please don’t hesitate to contact me or visit one of my shops: Etsy, Wazala, or Kudos Kitchen Paints. Custom orders are always welcome and I will happily paint and design from any photo or description you send my way. I agree, Renee; I cannot believe that May will be here if a few short weeks! Where has this year gone? I guess we have all been having fun because you know the old saying – time flies when you’re having fun! Such an easy comforting dish I can serve any day of the week. Thanks for sharing! Such a perfect side dish that comes together in 15 minute! I could make this after work today! I can’t believe that Cinco de Mayo is so close, time just goes by too quickly!! 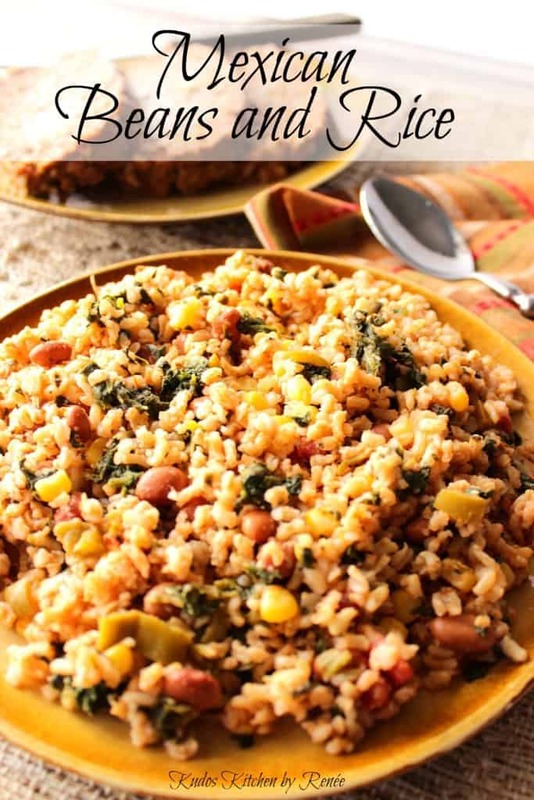 We love Mexican flavors any day of the week, and these rice dish sounds wonderful! I can’t believe it’s almost Cinco de Mayo, either! You’re definitely right that time is flying! 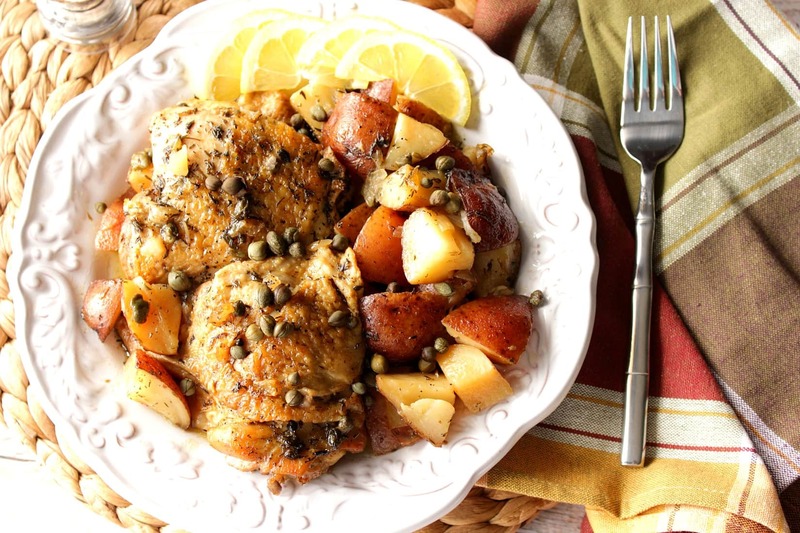 Love the jalapenos in this dish – yum! This could serve as a main dish for me – or add it to a burrito! I love how easy and simple this is. Great side dish! I can’t wait to grill too. What an awesome flavor-packed rice dish! I love all the veggies!